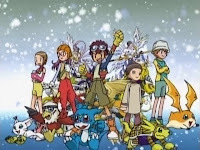 In this episode, a jump into the future with new characters, new evolutions and a new opening! 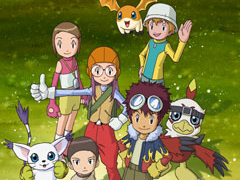 The time skip- Digimon did it before Naruto and One Piece made it cool. This is the season where I really latched on as fan, watching the premiere with excitement and following consistently through the entire season. The time skip had a lot to do with it. Not only do we get to catch up with the season one cast, but there's a whole new roster here to spice things up. Boy did they. The whole time skip concept is what makes Zero Two unique. While Hunters does it as well, the role of the original cast is far more prominent here and sets the series apart. The focus is clearly on the new kids (along with holdovers TK and Kari), but Tai and company are regularly looking over their shoulders. They somehow manage to stay in the background, but they are ever-present and a welcome sight. The second season is also notable for introducing the concept of hormones. The show seems to have realized that some of these characters are boys, some are girls and they're all at a certain age. This was virtually unseen in season one, but continues in varying degrees in all future series. Unless Hunters drops something unforeseen on us, Zero Two is the only season that actually pairs off characters. Regardless of your opinions of the lucky couples, the fact that they went there is significant. This also has be considered the season with the starkest differences between the original Japanese version and the English dub. Not only do the number of ad-lib jokes reach a boiling point, but there are also a few differences with the timeline, affecting a few plot points here and there. Not surprisingly, there are some changes in character behavior that are worth keeping an eye on. As a result, I will frequently be watching the episode both in English and through the official subtitled release on Hulu. I'm committed to focusing on the dub for this blog, but for this season it's worth reporting major changes. That and I'm totally stoked that the Japanese versions of Zero Two and Tamers are on Hulu. It was one of the inspirations to start this project, in fact. It's not Butterfly, but I love all of the Japanese openings (at least the ones that aren't performed by Twill). The animation even touches on the plot a bit, instead of being entirely about showing the kids, their Digimon and their evolved forms. 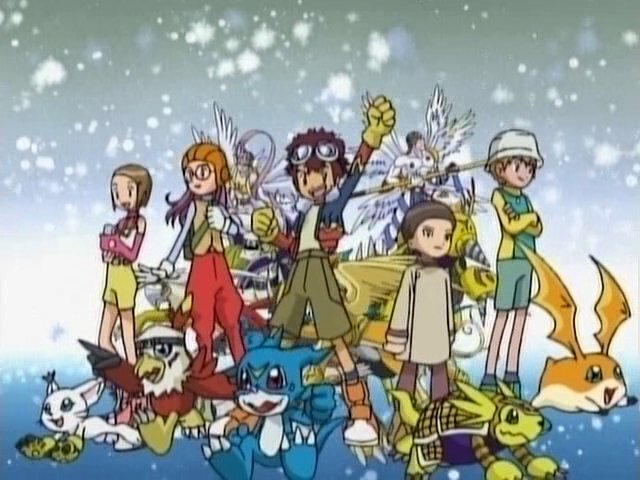 It's only half that this time, which is about as good as you can expect from a Digimon intro. Zero should not exist if it humiliates the older characters.